The refugee distribution system, which has been in effect for over two years, is not entirely efficient, Lithuania's President Dalia Grybauskaitė said upon arrival at the European Council in Brussels on Thursday. 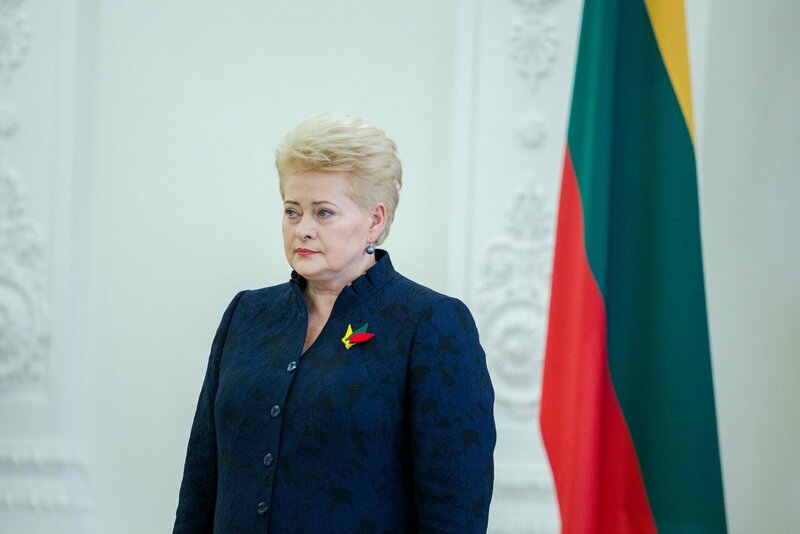 Grybauskaitė told journalists that the integration processes did not go smoothly in Lithuania and other countries in the Baltic Sea region, adding that many refugees had already left. "We see that the (…) quota system is not entirely efficient, especially in our region. We made a political consent to accept a certain quota of refugees in our country, however, the integration processes stalled and the refugees did not stay in our region," the Lithuanian president said. Refugees were being relocated to Lithuania and other EU countries from the Middle East under the 2015 decision to distribute 160,000 migrants among countries of the community. Under the mechanism, Lithuania committed itself to take in 1,105 refugees. Although the country has received 416 persons by now, many of them already left for wealthier countries in Western Europe. Furthermore, the European Union last week turned to its supreme judicial institution over the refusal of Poland, the Czech Republic and Hungary to take in refugees. The three nations dismissed the quotas as a Brussels attempt to limit their national sovereignty. Meanwhile, supporters of the system say that Europe should share the refugee burden with Italy and Greece, which accommodate the biggest migration flows. Grybauskaite said that the EU had been doing a mediocre job in handling the migration crisis, calling for compromise in the further efforts to curb migration. "Of course, we need to think about other ways, there are many proposals but I still wish we could reach agreement," said the president. Discussions on the migration quota system heightened after the European Council's President Donald Tusk suggested to discard it. In a letter sent to EU leaders a few ago, he dismissed the system as inefficient and dividing the community.